At Lakewood Ranch Chiropractic, we help patients suffering from neck pain and its related problems such as limited mobility and headaches to find relief each day. Patients suffering from neck pain due to auto accident injury, sports injury, osteoarthritis, poor posture, degenerative disc disease, spinal stenosis, or other causes find effective, natural, non-invasive relief with our neck pain treatment in Bradenton. Our chiropractor works with each patient individually to determine the root cause of the symptoms and devise a wellness plan designed specifically for the patient. We focus first on pain management, healing, and finally on preventing recurrence of symptoms. 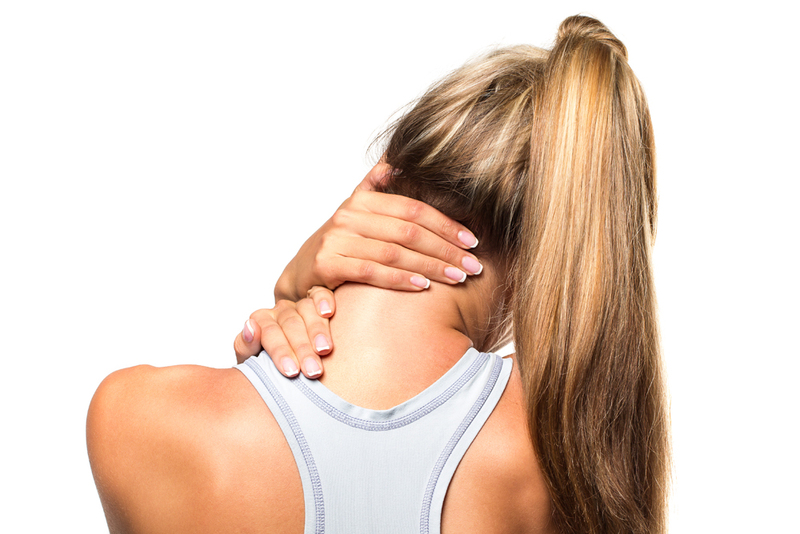 During your first consultation appointment for neck pain treatment in Bradenton, Dr. Nichols will assess your pain by performing a physical evaluation, looking for spinal subluxations and muscle tension. He will also discuss your current symptoms, medical history, and any injuries with you prior to your first adjustment or any other treatment. Spinal Manipulation - Gentle chiropractic adjustments return the spine to a properly aligned state, allowing the body and all of its various systems to function properly. This reduces pain, accelerates healing, and promotes overall wellness. Massage Therapy - Massage therapy naturally complements the benefits and process of chiropractic care by reducing muscle tension, relieving stress, reducing pain, and promoting overall wellness. Physical Therapy - PT uses strengthening exercises and stretches targeted to specific muscle groups to encourage proper healing and prevent future injury. Cryotherapy - Used most often in injury cases, cryotherapy applies cold to the affected area to reduce circulation and slow swelling. Ultrasound - Used to deliver heat deep into muscle tissue, ultrasound increases circulation while reducing muscle tension. Inferential Electrical Muscle Stimulation - This therapy targets your body's soft tissues at the cellular level, triggering them to produce endorphins which induce healing, block pain signals, and create positive feelings. Although every patient is different and each patient's body responds differently to chiropractic care, most patients experience immediate relief from their neck pain and associated symptoms after the first adjustment. Patients report overall improvement with reduced frequency, severity, and duration of future symptoms. At Lakewood Ranch Chiropractic, our Bradenton chiropractor Dr. John Nichols is ready to help you find relief from your neck pain. Whether due to an injury, a postural issue, or bone condition, our chiropractor can help you feel better and get back to participating in all of the activities you love the most – free from pain. Contact our office at (941) 739-2900 to schedule your neck pain consultation or to learn more about our clinic and services.